on the EVENING of 14th April - GOOD FRIDAY. - Enjoy Frances Richardson with another great new duo : Nozzy / Nicci & Ozzy. Bonus Contra : THIS Friday 24th : Great Alne Memorial Hall. (2 miles from Alcester) : B49 6HL : 8pm - 10:45 : £7. JAKE WOOD is calling : Music from the: Cole Valley Ceilidh Band. Join also ? Breton Set Dances 5:10pm. Meal at 6. Easy dancing 7:30. 10:45pm LNE French. A 4 day Long Weekend: Dance, part-song, lots more. 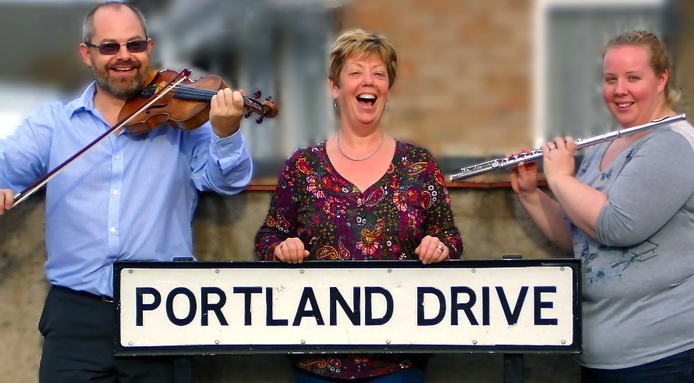 Elaine and Kathryn will be very well known to contra dancers via brilliant gigs with Skylark.